Hilary Weaver is an editorial intern at The Nation and freelance writer. She focuses on feminism, reproductive rights and gender identity topics. 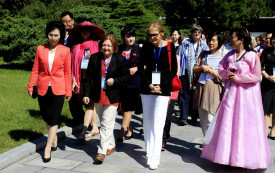 The activists join a rich tradition of women working to end conflict. 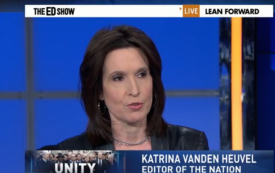 Katrina vanden Heuvel visits The Ed Show to discuss cybersecurity following the attacks in Paris.